Since January this year, MAAP has been concentrating on the presentation of it touring exhibition LANDSEASKY:revisiting spatiality in video art in venues across Seoul and Shanghai. The exhibition opened in Seoul Korea in Artsonje Center and five commercial galleries that were located in short walking distance of each other. Gallery IHN, ONE AND J Gallery, Gallery Skape, Lee Hwaik Gallery and OPSIS ART. There were 58 press articles published, three television broadcast stories and one TV drama filmed in amongst the art works at Artsonje by KBS Television. LANDSEASKY was open from 22 February to 23 March. The exhibition is currently on show in OCT-Contemporary Art Terminal, Shanghai in custom built exhibition spaces and as a result of the interest generated, has just been extended by another 2 weeks. 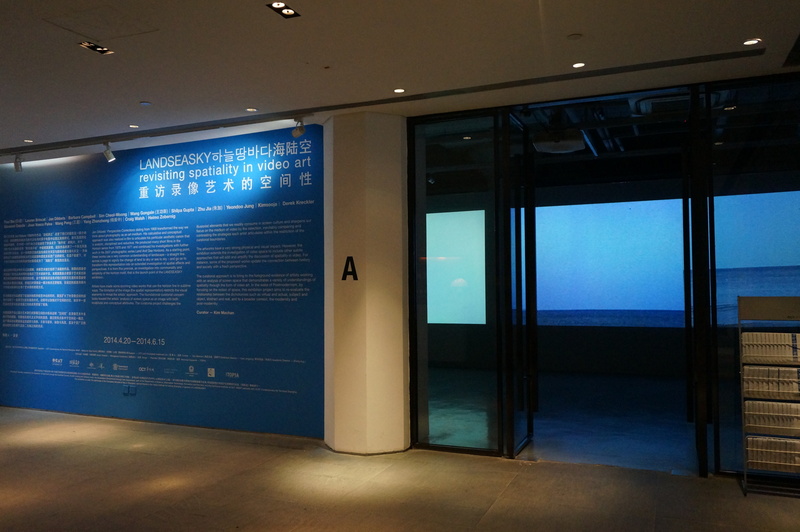 LANDSEASKY in Shanghai was expanded with a new work by Chinese artist Zhu Jia and a recent work by Yang Zhenzhong. LANDSEASKY opened 20 April and continues in Shanghai until the new closing date of 29 June 2014. The exhibition will open in Sydney in August and Brisbane in September 2014 and will return to China to be shown in Guangzhou in March 2015. Come and join us at MAAP SPACE where documentation of moving and still images from the exhibition will be on show! Venue: MAAP SPACE 111 Constance Street, Fortitude Valley, Brisbane.